I want to make a little stopover on my road to CUBA in Berlin. On the beginning of december i had the chance to attend to GOTO Berlin 2015 and i just wanted to recap my thoughts on the conference. So if you’re interessted because you were not able to attend and fly over to berlin, here’s a summary. The conference took place from 2nd of december until 4th of december, where the first day was a workshop day i didn’t attend. On Thursday morning the conf started for me with a keynote and a free and super-delicios cappuccino from The Barn, which had a stand in the foyer. The keynote was called “To the moon” and Russ Olsen was the guy presenting it. Unfortunately i watched a previous version of the talk at GOTO Aarhus 2014 on Youtube a while ago, but luckily i couldn’t remeber all the bits and pieces of it. It wasn’t a real talk as you might expect it from a tech conference, but more of a story about the moon landing and the people behind that enabled it. As Russ is a amazing storyteller, the keynote absolutly absorbed me. Since the moon landing generation is a little before my time, i wasn’t really aware of the details of the landing and due to this it was really amazing to get these insights. With the analogies between rocket science and software development he took all of us back down to earth and the nitty gritty problems that the John Doe developer as a sotware developer has. But it was the right mindset to get onto the next talks about different technologies, software practices and experience reports. I absolutely encourage you to look at the talk on Youtube, but you should really take the time to let you flop yourself into the story - it’s worth it. After the keynote we had the choice of six parallel tracks. 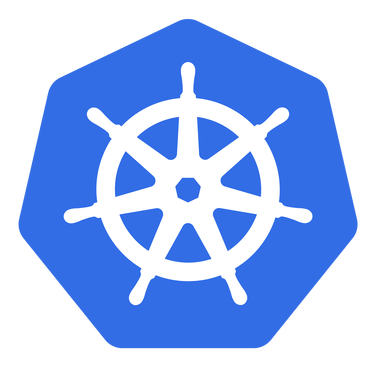 Since i am personally interessted in Docker, Cloud and so on, i started off with a talk called “Build, Ship and Run the Docker Way” from Maxime Heckel. Maxime showed how Tumtum, an orchestration engine for Docker with a slick UI and plenty of features that let you step up from the docker command line to something more high-level. It is meant to be used for running docker in production. In my opinion the title promised a slightly different topic but it was ok for me, since the ecosystem around docker is at least equally interessting as the tool itself. Next up, i went to the track “Smart things for a connected world” with a talk from Michael Fait and Martin Comfort called “50000 Lines Of Code to Brew a Coffee”. They talked about a project they worked on at Thoughtworks, where they had to create the “smart” part of a smart coffee machine. As this project was a HW / SW co design project with an additional smart software project, it seems to be a whole different story in terms of cycle times and testing e.g. They came up with different interessting approaches to tackle these problems when you compare it to a normal web development projects and were thus able to get their common practices like CI, TDD in place. This talk was really great, first because both speakers were super straight and relaxed. Secondly the idea to present a topic with two people worked out very well, at least for Michael and Martin. After this we had a pretty amazing lunch break. Due to this i was in a good mood to hear about “Microservices @ Spotify” (Video, Slides). Kevin Goldsmith showed how Spotify stays productive and embrace change while growing that fast. Basically he talks about autonomous feature teams from an organisational point of view and microservices from a technical point of view at Spotify. These kind of talks from Internet scale companies like Twitter, Netflix, Amazon or like in this case Spotify are pretty impressive just from the numbers. When hearing about ~800 active running microservices developed by currently 600+ developers and 90+ teams - this is where you try to get your head around this. Especially when thinking about, that these guys are probably 10x faster and able to change their business that the normal enterprise is. Very interessting, although there was “nothing new”, because it was just an experience report. For me there were two more talks about Containers and then just before the party started there was this Keynote from Nicole Forsgren called “DevOps: Next”. It was a very interessting talk. She referenced the Puppet Labs 2015 State of DevOps Report, an annually survey about the implementation state of DevOps in organisations. With different numbers she showed that DevOps together with Lean practices enables not only IT performance but also organizational performance. Changing IT from a cost center to something that lives in the heard of the organization as a fundamental profit center. Very cool talk, although as a John Doe developer it is not something that can be taken home to be implemented, but more as a general advice. If you want to learn more about this DevOps report, Nicole was at the DevOps Cafe podcast a few weeks ago. On friday, the first keynote was another space talk, held by Stephen Carver called “Space Shuttle” (Video, Slides). I think it was even cooler than the Keynote from Day 1, although both were pretty close. 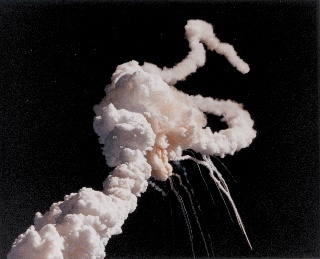 It was about the space shuttle program and the accidents of Challenger and Columbia that occur. He digged down into the details why these disasters happend from a technical point of view and that they could have been avoided if only NASA would have act like a big team with all the good stuff like communication, trust and so on. Instead he showed what they did with all this politics and pressure in the backyard. With this, he built a pretty impressive bridge between this topic and this whole agile movement. Absolutly great talk. Right after this talk, there was Nicola Paolucci from Atlassian talking about “The age of orchestration”, where he introduced the different orchestration techniques that are avaliable via docker itself. Going from basic stuff like docker compose and docker machine to a little more advanced topics like docker swarm. Since i already played with it, it was not that much of new information, but creating a production ready confluence setup within 3 minutes is always impressive. Then i went to the talk from Jez Humble called “Why Scaling Agile Doesn’t Work”. Jez, at least for me, is just an amazing speaker and well known for his work on continous delivery and lean enterprises. I already saw him last year at the conference and so unfortunately both talks overlapped a little bit. Nevertheless he introduced a phrase i wasn’t aware of: “Water-Scrum-fall”. He explained that even if you optimize your dev department with stuff like agile practices and so on, it is just relevant to a very little degree. If the projects that you work on are planned a year before the implementation and the roll out has to go through a little ITIL process, there is no such a thing like a feedback loop. The reactions of the users to this projects will never influce the decision to even start with the project, because they see it that later in time. Also a very good talk. To sum it up, GOTO Berlin 2015 was pretty amazing. Most of the talks were really enlightening. Especially the keynotes this year were super cool. If you’re interessted in looking at some of the talks, i think the recordings are being published at their Youtube Channel. The prominent speaker density is pretty high at this conference and i think it is great to have a conference like this here in germany, where normally germany is not the place where the cool IT kids go (Berlin might be a exception, though). I’m really looking forward to next year.